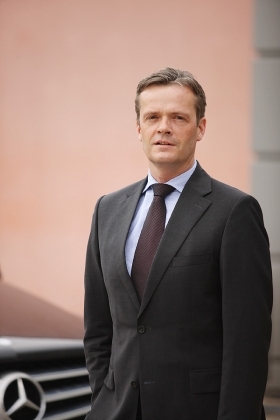 Markus Schaefer will become CEO as Vance prepares to take on its first production of the Mercedes C class. Markus Schaefer, a Mercedes-Benz executive who played a key role in expanding the company's U.S. plant five years ago, has been named CEO of the Alabama operation. Schaefer, 44, currently director of strategy for production of Mercedes-Benz cars, will take the role of CEO at Mercedes-Benz U.S. International Inc. in Vance, Alabama., in July. He will replace Ola Kaellenius, who was appointed managing director of Mercedes-Benz AMG GmbH in March after nine months as CEO in Vance. From 2002 to 2007, Schaefer was vice president of engineering at the Alabama manufacturing subsidiary as it underwent a $600 million expansion to double its size. He managed a central part of that project in converting the plant to a more automated process capable of building multiple vehicles. Schaefer will become CEO as Vance prepares to take on its first production of a Mercedes car -- the C class. Until now, Vance has been Mercedes' global source for SUVs -- the M, G and R classes. But after two years of running the plant under capacity, Mercedes now plans to convert part of its production to C-class sedans for North America. C-class production will begin in 2013.